The first, genuine next-generation RPG, The Witcher 3: Wild Hunt, will show off its newfangled technology through a game world that’s approximately 35 times bigger than what we’ve seen from the franchise before. Kotaku’s Kirk Hamilton had the opportunity to sit and have a long chat with three developers from RPG-machine CD Projekt Red at last week’s GDC, and while plenty of saucy details were exposed, the main points can be found in the fact sheet below. This is Geralt’s final adventure. It’ll be easy for new players to enter the game, and won’t require knowledge of the past games to enjoy. I’ll have more than 100 hours of gameplay. The sidequests and main story can be resolved in any order. 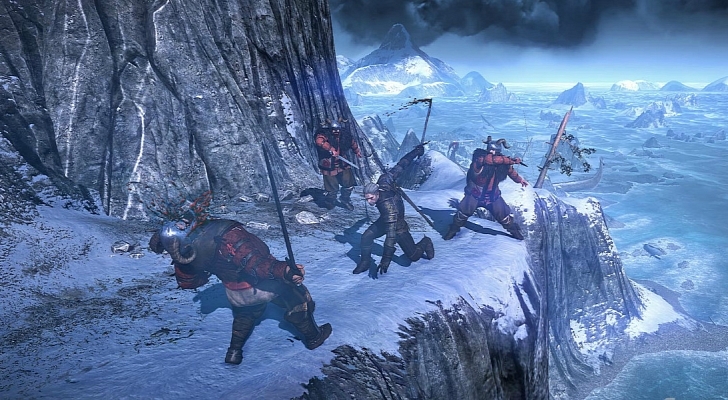 The game is entirely open-world, and is 35 times bigger than The Witcher 2. Quicktime events will be gone entirely. One figure that sticks out is the game’s size, which will be “35 times bigger than The Witcher 2.” While Geralt’s second quest never rivaled the magnitude of something like Skyrim, the game still contained a significant amount of geographic area. However, with the help of next-generation technology, this third game will make everything that’s come before seem like child’s play. Look to dig into this “completely open” title when it hits next-gen platforms and PC in early 2014. What do you think about some of these stats? Are you surprised at the size of the world? Let us know what you think by leaving a comment below!